This unique safari has been personally designed by me to permit ladies who are keen to experience some of the arts and crafts of Southern Africa, as well as its wildlife, to travel with like-minded people. 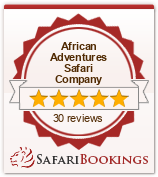 Your adventure starts in Johannesburg where I will be there to meet you and help with formalities. After a night at the beautiful Africa Sky Lodge we will travel by road to the north and into the mountains around the tiny town of Haenertsburg. The scenery is stunning but we will also have time to visit some local tribal ladies who are now welcoming travellers into their homes to show their craftwork. We will spend two nights at the beautiful Magoebaskloof Hotel which is steeped in history and be welcomed by the grandson of the famous King Magoeba. During our stay we will also travel to a very special location near Tzaneen to visit the ladies who create some of the most outstanding needle point work in all of Africa. Kaross, as the project is known, is a co-operative based organisation and only local women who hand stitch every pattern are permitted to join. The results are not only colourful and masterful but tell the stories of the lives of the local people. Our visits to the craft workers of the area with their depictions of tribal life and animals will have whetted your desire to see the wildlife up close so today we will travel to one of the world’s great national parks, Kruger. We will be staying inside Kruger and not on a fenced property alongside as many visitors do and our destination is deep in the heart of this wilderness area. Imbali Lodge is situated on a private concession within Kruger so we have exclusive use of this section of the park as well as access to all other areas. This is big game territory and our daily game drives will reveal to you the vast diversity of wildlife in this area. 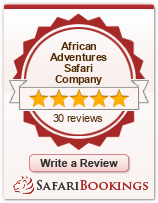 It is so rich in wildlife that it is not uncommon to see all of “The Big Five” in one day. By the way “The Big Five” are those animals considered to be the most spectacular, majestic and most deadly in Africa and include lion, leopard, rhino, elephant and Cape buffalo. It will be hard to leave Kruger but we travel now into the high Drakensburg Mountain plateau around Graskop. During our drive we will visit the Byde River Canyon and the incredible scenic attractions along the “Panorama Route”. We will spend two nights in the story book inspired Westlodge in Graskop which will enable us to visit the craft markets and in particular to spend some time at the local silk worm farm. Here local ladies hand spin the silk threads provided by the cocoons and we will see the process from beginning to end product. This is truly fascinating and you will also pick up some excellent bargains as well. Our arts, crafts and tribal curios trail continues into the tiny town of Dullstroom where will spend a further two nights. This town looks like a village from the Scottish Highlands and is home to all sorts of country pursuits and craft traditions. This has meant that this little town now has some of the best restaurants in South Africa and is a focal point for some of the best known artists, craft workers and tribal curios in the country. We will eventually have to leave this little haven and return to Johannesburg so we can fly out the next day to Bulawayo in Zimbabwe. Here we will start to see tribal life that has not changed for millennia and our destination is a World Heritage listed location, The Matobo Hills. It is here you will see what made this country so special to the man after whom this nation was named for its first 90 years, Cecil Rhodes. We will visit his spectacular grave site and look at the cultural and historical locations scattered through these unique mountains. We will also have the rare opportunity to track, both by open vehicle and on foot, the now endangered black and white rhino with one of Africa’s leading rhino experts, Ian Harmer. If time permits we can also visit the White Waters Orphanage to meet the children and learn how they survive and are educated in this isolated area. Also at Bomani we are given the rare opportunity to visit not just an isolated local school and interact with the children but to also visit the village they call home. Here you will given a private encounter with how these Matabele people live their lives and survive in the wilderness. This is not a formalised tour and is conducted purely on an ad hoc basis. There are no charges and no expectations as the local people are only too pleased to share their cultural knowledge with you and learn a little about your home. There will also be a chance to look at the curios these charming people are producing from local materials and learn how they create each piece. One special attraction that most people never learn of is the chance to purchase old trade beads from Gift, an African artist and friend of mine. Trade beads are the colourful currency that was used by early explorers in their dealings with local tribes. Gift travels throughout the region buying these beautiful old relics as many have disappeared forever as the local people no longer consider them prize possessions. In most cases Gift then gives these colourful pieces of history a new lease of life by forming them into distinctive works of art and jewellery. After three nights in this enthralling location it will time to fly out of Victoria falls Airport for home.